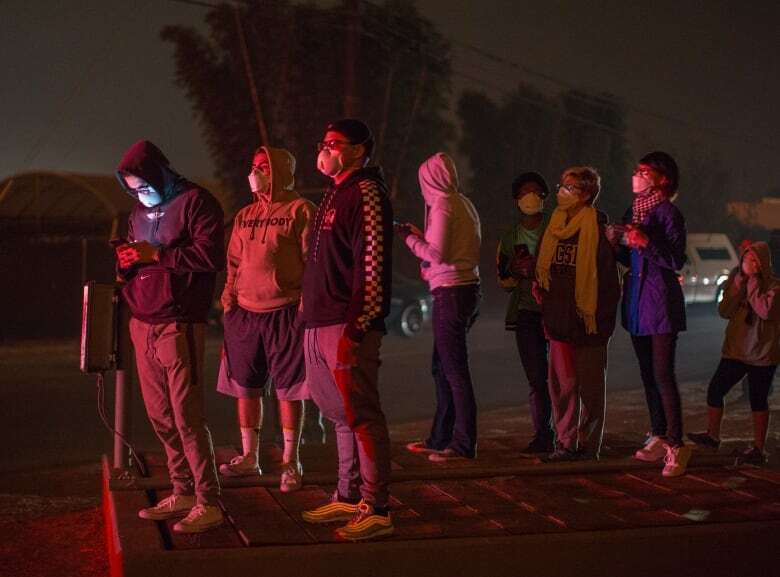 Firefighters, taking advantage of a lull in the winds, on Monday held in check a massive Southern California wildfire that has torched hundreds of buildings and charred an area larger than New York City. 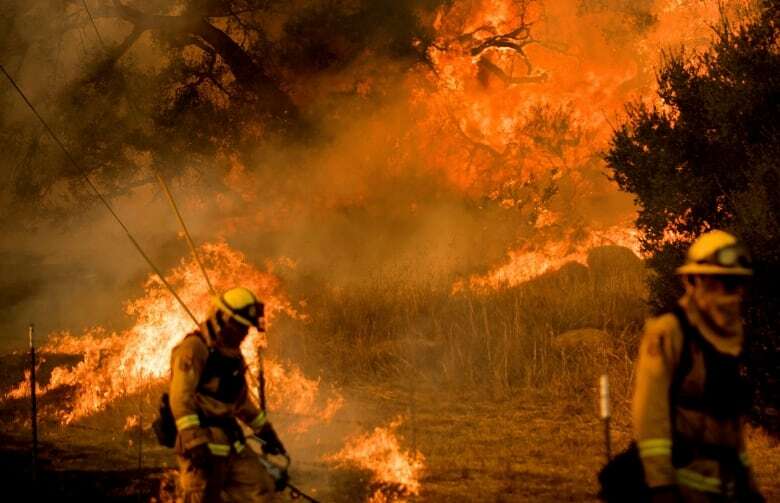 The Thomas Fire ignited a week ago and has burned 93,766 hectares, in Ventura and Santa Barbara counties, about 160 kilometres northwest of downtown Los Angeles, California Department of Forestry and Fire Protection (Cal Fire) officials said at a news conference. It continued to grow on Monday, but at a slower pace. The fire threatens 18,000 structures, including some in the wealthy enclave of Montecito where a number of celebrities have their homes. Hot and dry Santa Ana winds, which blow from the deserts to the ocean, allowed the fire to explode in size last week. But gusts were light on Monday, National Weather Service meteorologist Kathy Hoxsie said, even though the air was warm and dry. The fire crept along ridge lines above Montecito and the city of Santa Barbara, and firefighters were bracing to keep it from coming downhill into those communities, officials said. Most of the nearly 900 homes, outbuildings and businesses destroyed by the fire are in neighbouring Ventura County, where the blaze first erupted. Arthur Hurtz, 59, is among the local residents coming to terms with being homeless. 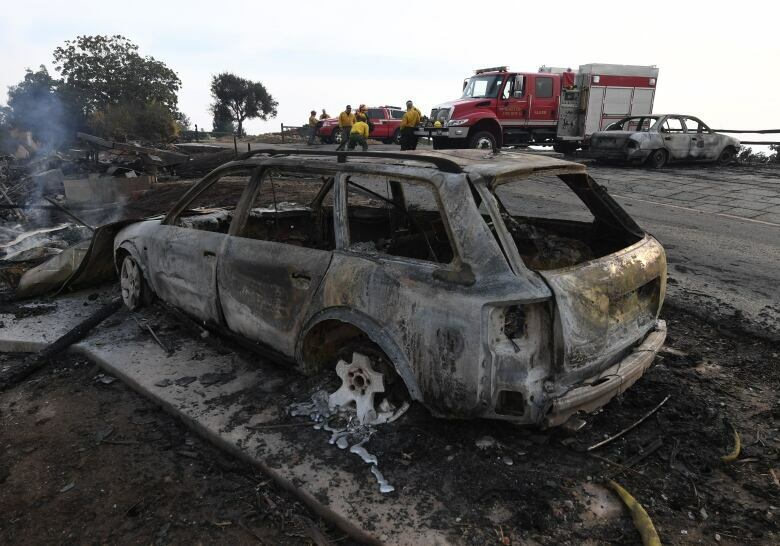 He fled from his house in the city of Ventura overlooking the Pacific Ocean last week, just minutes before a wall of flames engulfed it, he said. "It's completely gone. I've never seen anything like it," said Hurtz, who is now staying at an emergency shelter. The fire, in addition to destroying buildings, has damaged about 180 structures and ranks as the fifth-largest wildfire on record in California, according to Cal Fire. The fire, for which investigators were still seeking to determine the cause, was 20 per cent contained on Monday evening, up from 15 per cent earlier in the day. Public schools in Santa Barbara and some school systems nearby have cancelled classes this week and will not reconvene until the annual winter break is completed in January, said Santa Barbara Mayor Helene Schneider. Celebrities Oprah Winfrey and Ellen DeGeneres, who are reported to have homes in Montecito just outside Santa Barbara, took to Twitter to express concern. "Our house is under threat of being burned," DeGeneres wrote on Twitter on Sunday. 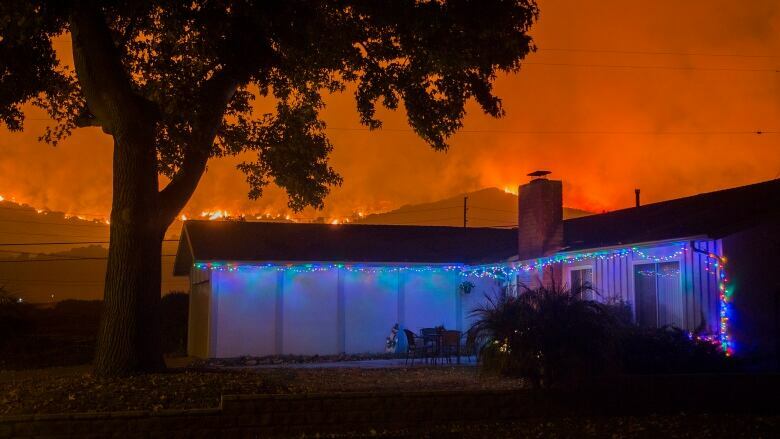 "We just had to evacuate our pets." A spokesperson for DeGeneres declined to provide any other details on Monday. Some of the other fires burning over the past week in San Diego and Los Angeles counties have been largely controlled by the thousands of firefighters on the ground. The Creek and Rye fires in Los Angeles County were both at least 90 per cent contained, officials said, while the Skirball Fire in the posh Bel Air neighborhood of Los Angeles was 85 per cent contained. North of San Diego, the 1,660-hectare Lilac Fire was also 90 per cent contained on Monday, after destroying 151 structures.